A complete and balanced account of communication theory, providing an understanding of both Fourier analysis (and the concepts associated with linear systems) and the characterization of such systems by mathematical operators. 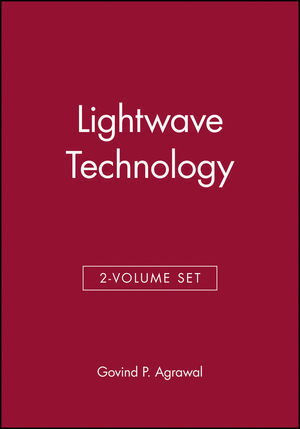 Presents applications of the theories to the diffraction of optical wave-fields and the analysis of image-forming systems. Emphasizes a strong mathematical foundation and includes an in-depth consideration of the phenomena of diffraction. Combines all theories to describe the image-forming process in terms of a linear filtering operation for both coherent and incoherent imaging. Chapters provide carefully designed sets of problems. Also includes extensive tables of properties and pairs of Fourier transforms and Hankle Transforms. Jack D. Gaskill is the author of Linear Systems, Fourier Transforms, and Optics, published by Wiley. Representation of Physical Quantities by MathematicalFunctions. Mathematical Operators and Physical Systems. Characteristics and Applications of Linear Filters. Two-Dimensional Convolution and Fourier Transformation. The Propagation and Diffraction of Optical Wave Fields.